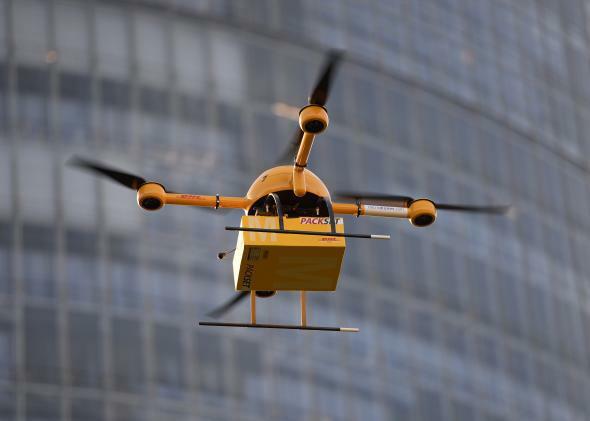 FAA drone regulations: NTSB judge OKs commercial drone use—almost. For many dark, droneless years, breweries and other companies have been stymied from developing airborne delivery to consumers by the Federal Aviation Administration’s insistence that commercial drones are illegal. But in a victory for beer-drone justice, the National Transportation Safety Board, the federal entity that hears appeals of FAA enforcement actions, overturned the FAA’s $10,000 fine against Raphael Pirker. In 2011, Pirker flew a drone over the University of Virginia in Charlottesville to shoot a promotional video for commercial purposes. On Thursday, Judge Patrick Geraghty found that “there was no enforceable FAA rule” against Pirker’s aircraft. So soon we’ll be able to have a six-pack of our favorite brew flown to our doorstep, right? Not so fast. Though the ruling looks good for commercial drone operators, Geraghty expressly limited the scope of his decision to “model aircraft.” Any unmanned aircraft systems, or UAS, that exceed that definition would not be not covered by the ruling. Geraghty’s opinion also falls short of stating affirmatively that the FAA does not have the authority to regulate drones. In reviewing FAA documents governing UAS, the judge wrote that the documents were not substitutes for any regulatory process and were only meant for internal FAA guidance, not the general public. In a 2007 Federal Registry publication, the FAA attempted to “set forth the current FAA policy for UAS operations,” according to its policy statement section. But because this intent was self-defined as a statement of policy, “it cannot be considered as establishing a rule or enforceable action, since … policy statements are not binding on the general public,” Geraghty said. The FAA can appeal Geraghty’s ruling. I suspect that Geraghty is conscious of both the fragile legal foundation for the FAA’s current drone regulation and the need for the FAA to regulate drones. As I wrote earlier this week, the FAA arguably does not have the authority to create its current permitting and regulatory system for drones. However, it is possible that there will be tens of thousands of drones in the air in the next 10 years. We don’t want them flying around—and into the ground—with no oversight. Of all federal entities, the FAA should have the authority to regulate them, and the apparent intent of the FAA Modernization and Reform Act of 2012 was to grant the FAA that authority and remove the existing doubt. What the current controversy confirms is the need for us to update and amend our laws to accommodate technological breakthroughs—drones, autonomous technology, artificial intelligence, etc.—that do not conform to the assumptions of our existing laws. If we don’t, our laws will become ineffective in the face of change with potentially serious consequences. And that will drive anyone to drink.